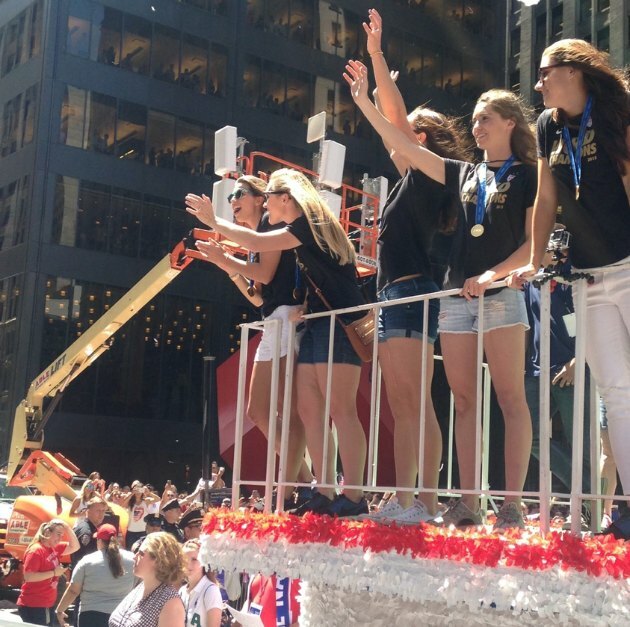 New York City hosted a ticker-tape parade for the U.S. women's national team on Friday to celebrate its World Cup title. The team gathered together early before the parade's 11 a.m. ET start time, followed the route known as the Canyon of Heroes, which took them from Battery Park to City Hall. At City Hall Carli Lloyd and Abby Wambach addressed the crowd in addition to U.S. Soccer Federation president Sunil Gulati, and MLS commissioner Don Garber, followed by the team receiving the keys to the city. 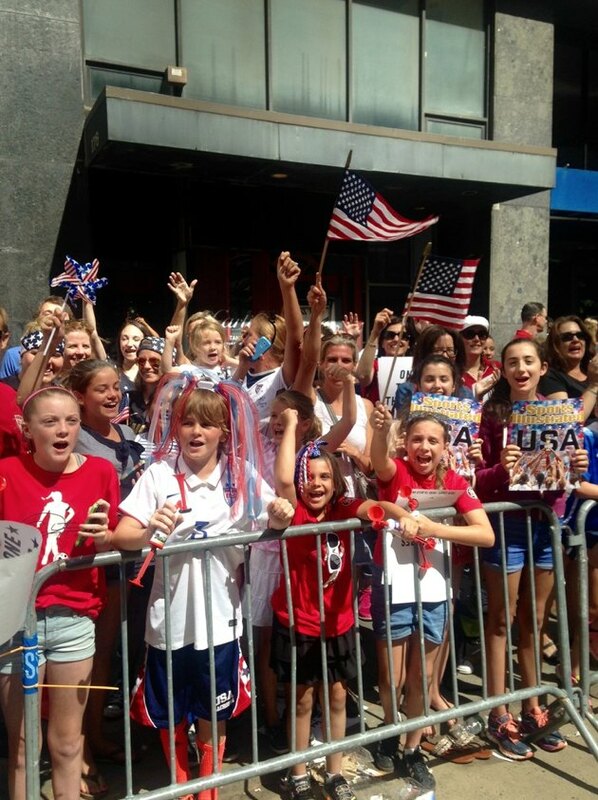 The city was prepared for large crowds for the event, after the team's 5–2 victory over Japan set ratings records on Fox, making it the most watched soccer game in U.S. history. After the parade ended, the team appeared onstage outside City Hall but first they peaked out from a balcony to get the crowd excited, before being formally introduced by ABC's Robin Roberts, and receiving keys to the city from Mayor Bill DeBlasio. At 11 a.m. ET the team loaded up onto the floats and headed out to meet their cheering fans. 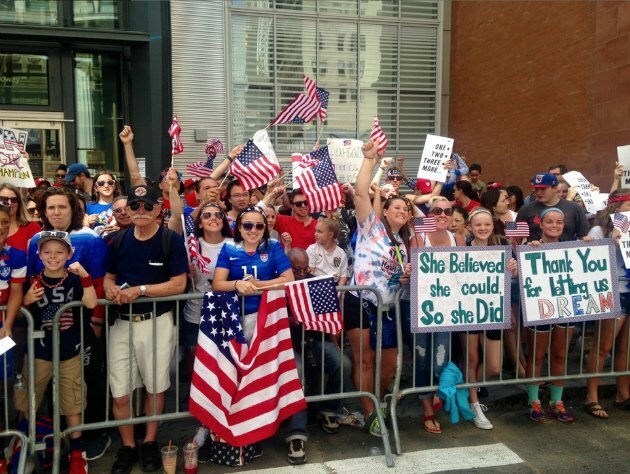 Before the team hit the parade route they stopped by Good Morning America, while fans began lining up hours before the event began to ensure they got a good look at the country's newest sports heroes.